Your understanding of the outside world boils down to personal experience and what you've read -- both reinforcing and negating stereotypes. And based on what people are really looking to buy from other countries, it looks like stereotypes win out on the Internet. 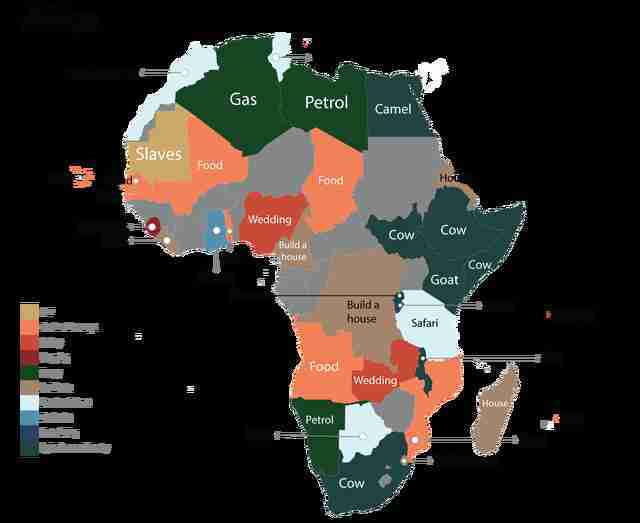 At least, that's what this map of what people are Googling suggests. 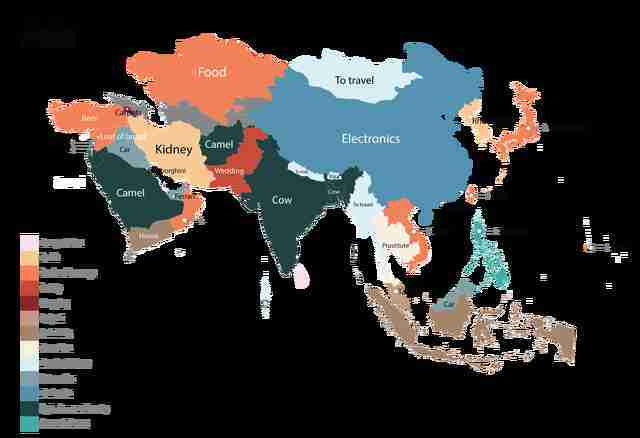 Cost-estimating website Fixr.com compiled a map of the most-searched product in every country. The site examined Google autocomplete terms for "How much does * cost in (country),” with the asterisk representing a search wildcard. Unsurprisingly, the results -- which only include English-language searches -- skew to national stereotypes. For example, most people search for the cost of a patent in the US, proving the American dream's alive and well (not really), while people Googling Canada want to know how much a passport costs. Perhaps they're just trying to get oot of the cold. And those Googling about South America ask about the cost of everything from beer (Argentina and Chile) and Panama hats (Ecuador), to funerals (Guyana) and prostitutes (Brazil and Colombia). In Europe, Internet users search most for the cost of a croissant in France, big fat weddings in Greece and Cyprus (go figure), BMWs in Germany, as well as how many euros it’ll be to moor a yacht in Monaco, or drive a Ferrari in Italy. And camels are big in a bunch of Middle Eastern countries, while flying a mig is a thing in Russia. Because Russia? People are interested in traveling for medical procedures, too. 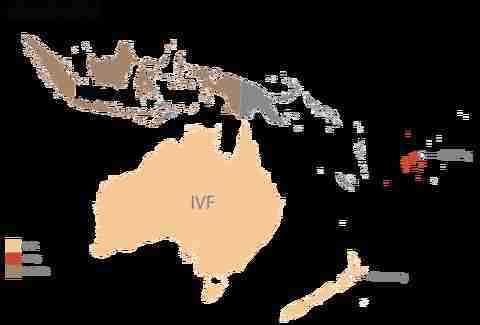 Tummy tucks are a big in Mexico, and though IVF is all the rage Down Under in Australia, Internet users look for quite the opposite in neighboring New Zealand, land of vasectomies. Ouch. Take a closer look at the results in all the included maps, and try not to spend hours looking at them. Or Googling the price of a prostitute.